kolambi Bhaat is a Maharashtrian dish from the Konkan region. It is basically prawns cooked with rice and coconut milk. 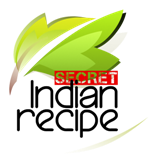 Neha Lad's Secret Indian Recipe ! Marination: Take prawns in a bowl, add salt and turmeric and keep aside for about an hour. This helps in getting rid of the fishy smell. - In a cooker take oil, once hot add the cinnamon sticks, cardomons, bay leaves, after a few seconds add mustard seeds, cumin seeds. Wait till the seeds splutter and add the onions. - Now add the marinated prawns, once they start turning red add the rice and keep stirring to mix all ingredients well. - Add water, salt , garam masala and coconut milk stir well cover and cook. झटपट पोहा बनायें | poha recipe-how to ma . . .
वजन कम करने का आसान तरीका मोगरी का दलिया . . .
पोहे का नया अंदाज स्टीम पोहा मफिन्स / br . . .
सहजन की फली(drumstick) की स्पेशल सब्जी आ . . .
Modak - ukdiche modak (sweet coconut and . . .
Mater wali khichdi (green peas with rice . . .